My name is Jasonia Lapsley. I am the lead preschool teacher in room nine. I’ve been a teacher here since June 2018. I’ve been working with children from the ages 3-5 years for four years now. 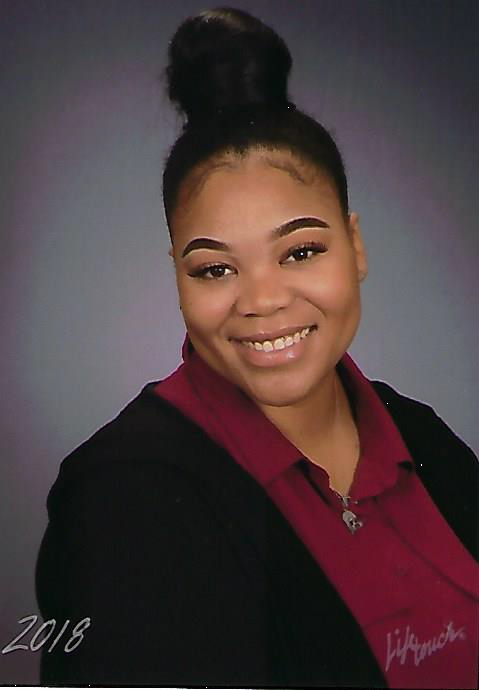 I was a practicum student at EMU’s Children’s Institute for two semesters, worked as an assistant at a childcare center for a year, and I student taught my last semester of college for three months at Lathers Early Childhood and Kindergarten Center. I studied early childhood education and graduated from Eastern Michigan University on April 21, 2018 where I obtained my Bachelor’s degree in Children and Families. – I’m from Fort Wayne, Indiana. – I have a cat name Quincy. – My favorite color is green. – My favorite food is French fries. – My favorite season is Fall. – My favorite sport is basketball (Golden State Warriors!). – One of my most favorite things is candles. 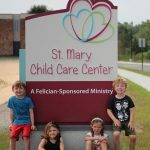 I am looking forward to continuing this journey as an educator and building positive relationships with the children and the families here at St. Mary Childcare Center!